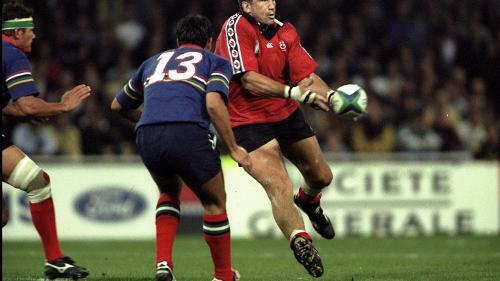 One of the most dominant loose forwards in the world during the 1990s, Al Charron actually played in all positions from four to eight for Canada, representing his country at four Rugby World Cups and being part of the management team for a fifth, in 2007. His Canadian record of 76 caps (remarkably, all of which as a starter) stood for 14 years until broken in June 2017. Standing 1.96m tall and weighing close to 123kgs in his playing days, the Ottawa native cut an imposing figure on the field and opponents feared and admired him in equal measure for his high work-rate and uncompromising play. 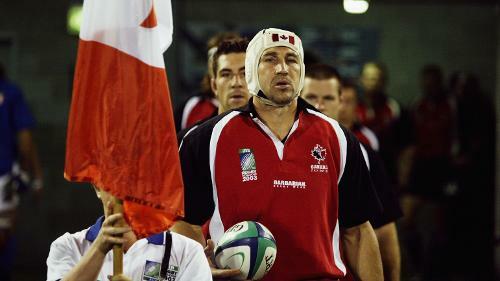 A fine leader, Charron captained the Canadian national team 25 times – a record he still shares with Gareth Rees. He was also a member of Canada’s squad at the inaugural Rugby World Cup Sevens in 1993 and was honoured to turn out for the world-famous Barbarians five times. Professionally he played club rugby for Moseley and Bristol in England and with Pau and Dax in France where he was highly regarded and a fan favourite. As a mark of respect for his contribution to rugby, not only in Canada but worldwide, Rugby Canada’s national training centre bears his name.